Avenue House (Stephens House) is famed for its paranormal activity and links with the shadowy Knights Templar. Its rooms hide a terrible secret and what about the dark, labyrinth-like cellars or the turret room frozen in time? 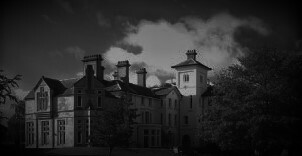 Our Avenue House Ghost Hunt is a genuine ghost hunt experience in one of London’s most haunted houses. What awaits you in its cellars? Join Fright Nights London to find out! This is our only date for 2019, with limited tickets available! Our last event included some strong activity in the basement where guests experienced physical contact with spirits. It really is a great venue to investigate. 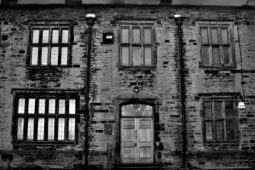 Your chance to ghost hunt in a haunted location overnight! With a history dating back nearly 1000 years its no surprise that Avenue House is known as the most haunted house in Finchley. The building that we see today was built around the mid 19th century; however there have been various uses for the land that Avenue House now sits on. Originally owned by the Bishop of London, however in the mid 1200’s, the land was granted to the Knights Templars and was in fact known as Temple Croft Fields. In 1312, it was then belonged to the Knights Hospitallers, until their lands were seized in 1540 by Henry VIII. The Knights Templars and the Knights Hospitallers were two of the most powerful Christian groups of this area. The site of Temple Croft Fields during the height of the Knights Templars and Knights Hospitallers was certainly a site of great importance. 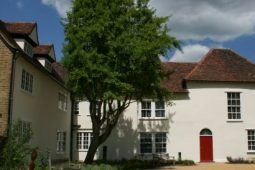 After the lands were seized by Henry VIII, for a few hundred years the lands passed through various hands, until 1732 when the property was bought by Thomas Allen who was a local builder and built the Manor House, which is now a local museum. In 1859, Rev. Edward Cooper, a relative of Thomas Allen, built the first property that was to be called Avenue House. In 1874, Avenue House was then bought by Henry Charles Stephens, whose nickname was Inky because his father was the inventor of the famous blue-black ink. In 1918, he sadly passed away and left the entire estate to the people of Finchley. In 1928, the house was formally opened to the public, nearly ten years following Stephens’ death. Unfortunately in 1989, the building was ravaged by a fire, but since then, it has been sympathetically restored and refurbished to retain its character. The most famous of ghost sightings is that of a lady who is regularly seen, especially when decorating works is taking place. Has she come back to give her approval to the work being done? It is believed that this lady is in fact one of the former governesses of Avenue House. Other paranormal occurrences such as mysterious footsteps, feelings of being watched, cold spots and even light anomalies visible to the naked eye have been witness at the notoriously haunted Avenue House. The location is famed for its large corridor and multi-roomed cellar said to be haunted by several unhappy spirits who have been very happy happy to interact with attendees in recent visits. With the lights switched off, who’s hand will you grab when the unexpected happens? 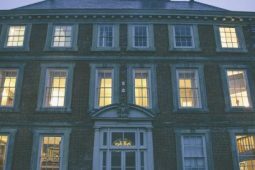 The night begins with a tour of the building with our psychic medium who will relay to you their senses and feelings about the location, but also will encourage the ghosts and spirits of the location to communicate! You will then be split into small vigil groups in the most haunted areas of the location where you will use ghost hunting equipment or try our psychic experiments such as glass moving or table tipping! 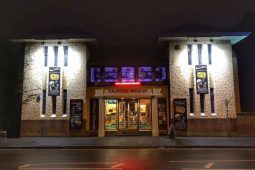 Activities are provided throughout the night with the hope of experiencing paranormal activity in one of the most haunted buildings in London. Full use of Ghost Hunting and Psychic equipment will be provided as well as hot refreshments through the night. Please note: Over 18’s only and NO pregnant women allowed as per our insurance cover. Venue is usually unsuitable for disabled guests due to the nature of the building. If in doubt, please contact us for more information. NO accommodation is provided unless specifically detailed. For more information please see our full terms and conditions here. All our events are fully insured, and a First Aider will be present. This event is organised by Fright Nights London. With thanks to Kerry Truman of Fright Nights London for the Research & Detailed Write-up for this event.